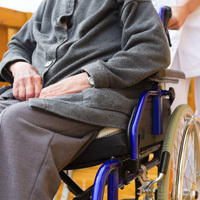 Regulations for Long-Term Care Facilities participating in Medicare and Medicaid were last updated in 1991, over twenty years. In that time, numerous best-practices have been identified to reduce the number of hospital readmissions and infections, increase the quality of resident care, and strengthen safety measures. These have not been mandatory to implement in facilities participating in Medicare and Medicaid, to the detriment of residents in these facilities. Take a look at HCPro-MDS Central’s update “CMS proposes major revision to regulations for long-term care” for a summary of the proposed changes. The proposal in its entirety can be found in Volume 80, No. 136 of the Federal Register.